Patricia Delaney has been counseling clients from the New York metropolitan area to the East End of Long Island since 1986. She has extensive experience in commercial lending, banking, leasing, and real estate transactions. 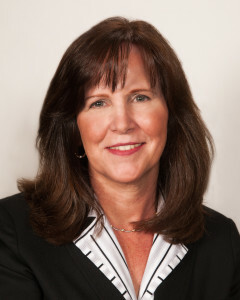 Ms. Delaney served as General Counsel to Bank of Smithtown and Smithtown Bancorp from 1994 through 2010. She has counseled publicly traded corporations in the preparation of their annual disclosure filings with the Securities and Exchange Commission as well as privately owned entities in their formation, business acquisitions and sales. Prior to joining the firm, Ms. Delaney was working in her own practice in Hauppauge that she established and managed since 1993. Ms. Delaney also served as Senior Underwriting Counsel for First American Title Insurance Company where she analyzed and assessed legal risk associated with insuring real estate transactions. Ms. Delaney has consistently received an AV Preeminent Attorney rating from Martindale-Hubbell. Ms. Delaney received her Juris Doctor Degree from Albany Law School of Union University and her undergraduate degree from SUNY Cortland.